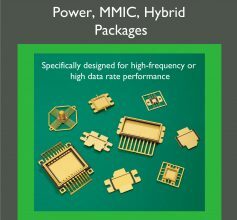 Micro-T packages are leaded multilayer ceramic packages specially designed to handle high frequency microwave diodes. These packages feature Ceramic-to-metal feed-thru leads for optimal function and reliability. Metal body with standard or custom heat sink material. Laser feed-thru with ball lens, glass or sapphire window.